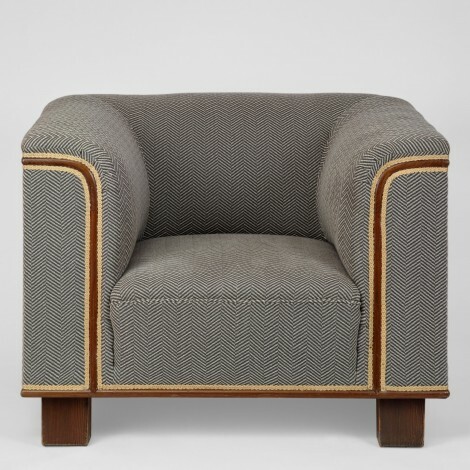 2 square armchairs with incorporated wooden strips. 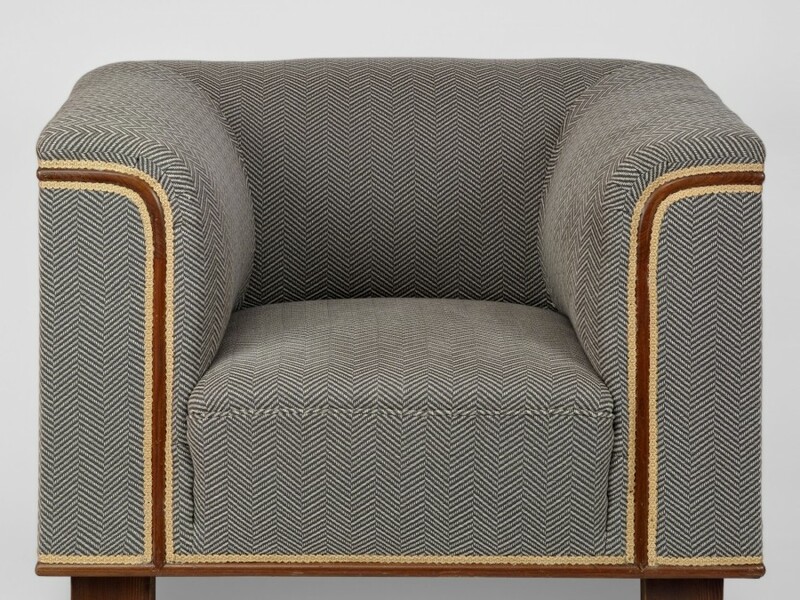 The chairs have been fully restored, completely reupholstered and lined. 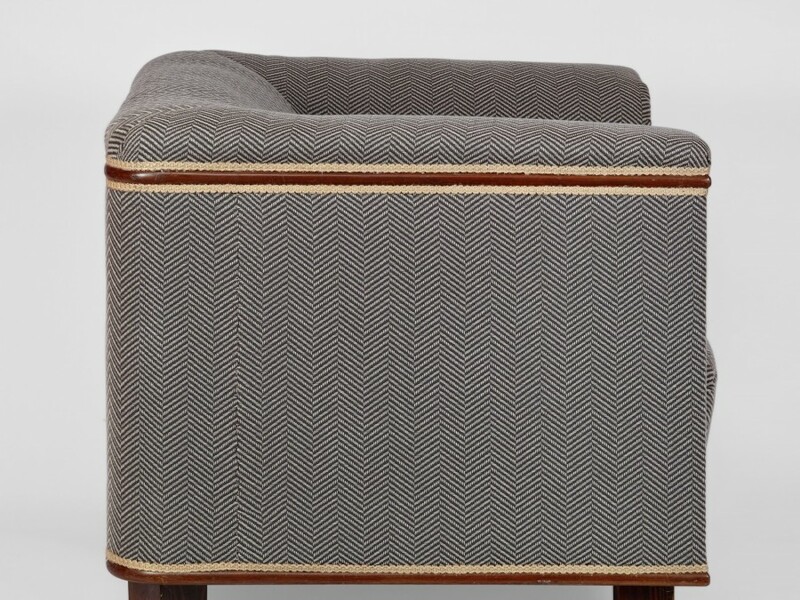 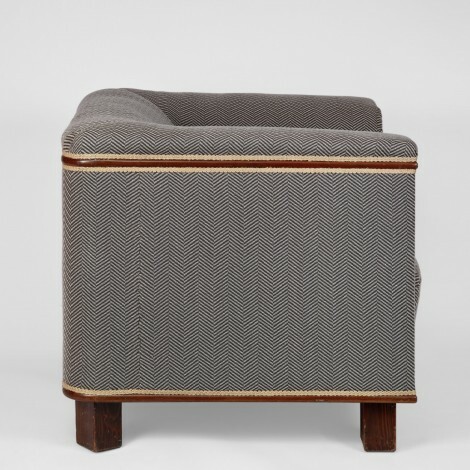 The client helped choose the herringbone pattern wool and linen covering.